is a healthy foodie and fitness enthusiast who loves wine and chocolate and whines about push-ups. If I’m having ceviche, it must be a good day. More than likely, I am surrounded by family and friends, and we’re either by the pool, waiting for the grill to be fired up or have our toes in the sand. Come to think of it, I don’t have ceviche often enough. The beauty of ceviche lies in its variations. While typically prepared with fresh seafood that’s cooked by the acid from citrus and then chopped and mixed with ingredients like fresh tomato, onion, cilantro, jalapeño, and lime, no two ceviches are alike. Think Thai coconut shrimp ceviche, tuna and avocado ceviche, octopus ceviche or a delicious crab ceviche. This ceviche will be unlike the others. Prepared with hearts of palm instead of seafood, it’s made with ingredients you likely have on hand, and because it’s deliciously vegan, it will please everyone at the party. Trust me, even seafood enthusiasts will linger around the dish. 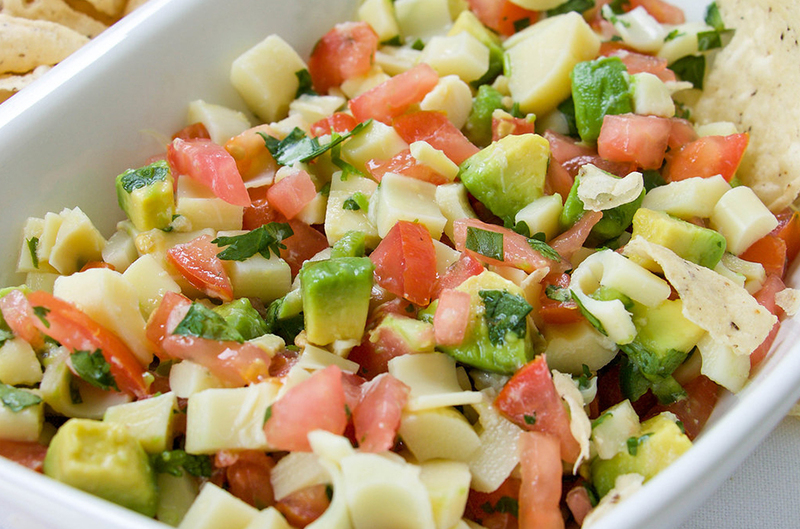 The recipe for hearts of palm ceviche couldn’t be easier – chop ingredients, mix, and serve with crispy corn tortilla chips or tostadas (a fried or better yet, oven-baked, whole tortilla). In a 250 degree oven, place tortillas (either whole or sliced in triangles) on a baking sheet in a single layer. Bake for 35-40 minutes, turning every 10 minutes. Mix the hearts of palm, tomato, onion, cilantro and jalapeño. Sprinkle with lime juice, and salt to taste. 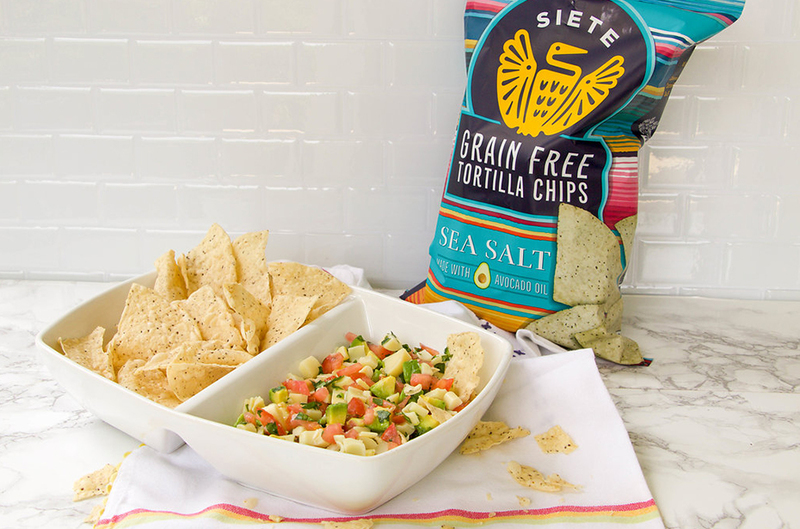 Serve in a large bowl with a side of the baked corn tortilla chips or tostadas. Or, prepare the ceviche tostadas, top with avocado slices, and place on a serving tray. 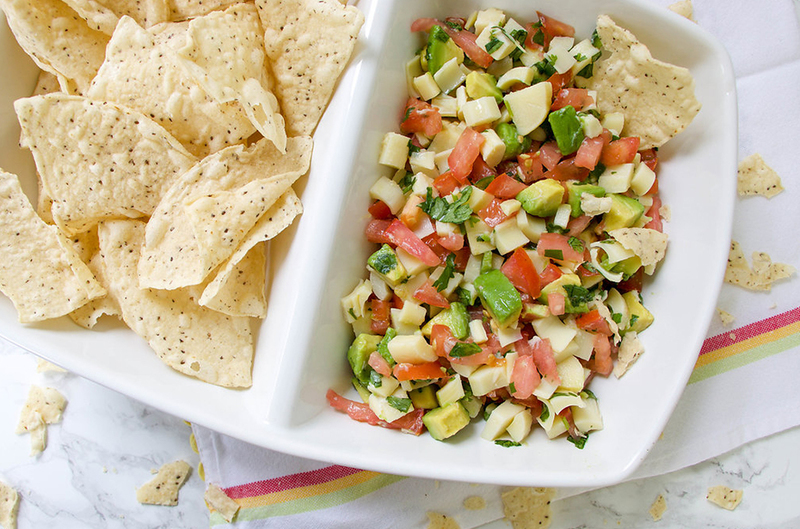 Be sure to sign up for bringing an appetizer - this is perfect for pot-lucks! Check out what Claudia’s cooking now.